Sandler Law Group's Dallas office provides services in residential mortgage closing, mortgage-tech, and related compliance. Our team based in Dallas, Tx. provides mortgage companies a holistic residential mortgage loan process including compliance management strategies, regulatory expertise, and document preparation technology. We offer closing functions, document preparation, and fulfillment services for the mortgage lending industry. Experienced mortgage compliance professionals manage the full mortgage closing process. Client-specific teams available for direct or inhouse support and services. Representatives are available weekdays between 8am and 8pm Central Time. Document preparation and/or legal review. Fully outsourced closing functions, including CD preparation and/or review, wire orders, funding, and shipping. Four-hour turn time on document preparation orders [rush orders available upon request and consideration]. Custom web-based loan tracking tool and monthly reporting. Specialized projects including remediation, modification documentation, and project management. We produce compliant document packages. We offer funding, shipping and fulfillment services, compliance analysis, and process improvement. Dynamic and data-driven loan package generation for all 50 states. Integrated up-to-date regulatory requirements. We monitor for changes across more than 65 federal and state regulatory agencies. We provide legal support and multi-state legal compliance as part of our loan closing outsourcing services. Construction lending, including one-time and two-time close, Fannie Mae Homestyle and FHA 203(k) loans. Multistate home cooperative ownership loans and New York CEMA loans. Government sponsored or insured mortgage loan programs. Brad is an experienced residential mortgage lending expert on multi-state and federal compliance, loan documentation, warehouse finance, wholesale and correspondent origination channels, loan purchases and sales, and claims management. 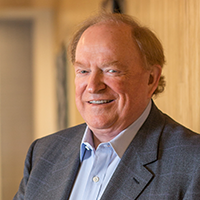 Michael has spent his 40 plus year professional career building and leading law firms and businesses offering expertise in state and federal mortgage regulatory compliance. David has over thirty years of legal and compliance experience in banking, consumer finance, real estate, and construction law. He has specialized expertise in mortgage lending origination and servicing requirements, secondary marketing issues, usury and fee exportation and state licensing and examination. Heath has been in the banking and mortgage business for 14 years. His experience includes accounting, home office team lead and onsite team management for a multi-state lender which afforded him the opportunity to train new staff and provide the client with superior service in various aspects of mortgage lending functions, including closing, document preparation, auditing, HUD approval, post closing and helping with investor STIPS. Heath is now focused on the overall production of the company, customer service excellence and working with our lenders to help them determine their needs based on the industry and investor standards. Theres has 35 years of industry expertise in operations, post-closing, loan servicing, training and risk management, combined with demonstrated skills in project management and developing start-up business. Her main focus is Operational Compliance and Staff Development and she assists in special projects. She devotes much of her time in developing the skills of individuals new to mortgage banking. 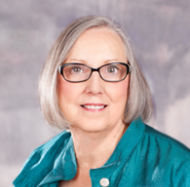 Theresa is an active member of the DMBA and a Past President of NAPMW. Ashley LaBate-Long is our Client Specialist. She has over 12 years of mortgage and residential legal and lending experience and has been with our firm for twelve years. She works with new clients to determine best practices for our team’s integration. Ashley works closely with client staff and has been responsible for training many of Sandler Law Group employees. Ashley is a proven professional, quietly providing clients superior service in virtually all aspects of residential mortgage closing, document preparation, auditing, funding and post-closing. 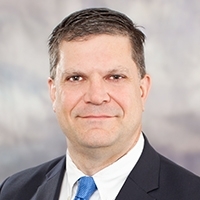 Marshall Mahurin is the Director of Compliance & Quality Assurance for Sandler Law Group. He has more than thirty years’ experience in residential mortgage lending which has covered all aspects from loan origination to loss mitigation. He started in the industry working for mortgage lenders who originated both prime and sub-prime loans. His experience includes the origination, processing, underwriting and closing of conventional, FHA and VA loans. These foundations in mortgage lending basics lead to a focus in regulatory compliance at both the state and federal level as he transitioned to working for a residential lending law firm. Marshall served as Regulatory Compliance Manager for a software company that developed and customized software and documents for residential mortgage lenders. He has continued to hone his regulatory compliance skills and expand his knowledge of the lending industry while working for Texas law firms specializing in document preparation and loss mitigation, prior to joining Sandler Law Group. Ken leads the direction and management of Sandler Law Group operations including the Document Preparation, Funding, Fulfillment, Software Development, Software Support and IT teams. Ken joined us in 2001 and has more than fourteen years experience in residential mortgage lending, where he has directed and managed operational process improvement and software design implementation solutions for the residential lending community. He returned to the Firm in 2013 as a strategic partner in service enrichment, productivity increase and the provision of operational excellence. For more than 30 years, Vicki has worked in client services for law firms representing residential mortgage lenders with a specific focus on forming efficient closing operations through integrated technology, legal services, and highly qualified mortgage personnel. Her goal is to maximize lender efficiencies through excellent communication, software solutions, staff and superior service. Vicki is a pioneer of onsite legal document preparation and operational outsourcing for residential mortgage lenders across the country and has devoted her career to analyzing and maximizing work flows for lenders. De Ann Rogers is the Trainer-Process Improvement Liaison at Sandler Law Group. De Ann has over 23 years experience in the residential mortgage business. Her experience includes processing, closing, funding, shipping, post-closing, auditing and agency insuring. She has led service teams at mortgage lenders and acted as an operational liaison for software implementations. De Ann’s main focus is to maintain high service levels while building positive relationships and fostering communication and cooperation between our clients and her team. 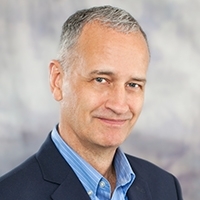 John's focus is on managing the entire IT infrastructure including development, networking, phone systems, servers, co-location facilities, backup and recovery, security, websites, database management, asset management, purchasing, TCO/ROI cost analysis, and client relations for technical services. John has more than 20 years experience in the Information Technology field beginning with work as a Business Analyst and Project Manager in residential mortgage lending. This was followed by years of consulting work in both hardware and software related projects. The last 10 years have been focused on managing IT groups. Prior to joining Sandler Law Group, John worked with mortgage companies, software companies, and law firms to develop and maintain a broad range of services for the residential lending community. For more than thirty years, Andy has been a trusted legal and strategic advisor to the financial services industry. He currently leads Temerity Capital Partners, Treliant, and Asurity Technologies. 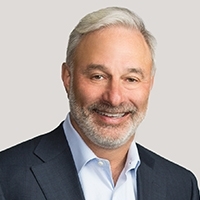 He serves as an advisor to Boards, C-Suites, Temerity portfolio companies, and investors on regulatory, operational, and governance issues, and the use of technology to increase efficiency and reduce legal and regulatory compliance cost. Serving as Attorney at Sandler Law Group, Ms. Jenkins advises clients through a broad range of mortgage banking compliance issues, assisting lenders from origination to closing as well as in post-closing compliance review with a special emphasis on Texas legal practice. Before joining Sandler Law Group, Ms. Jenkins served in private practice as mortgage banking compliance counsel, and before becoming an attorney, gained significant experience in mortgage asset resolution and commercial loan originations at a larger non-bank lender and two large, national banks. Ms. Jenkins has been a speaker at continuing legal education panels addressing various issues impacting mortgage lending, and she is active with the State Bar of Texas and American Bar Association’s Real Property Trusts and Estates Section. In addition to her work at Sandler Law Group, Ms. Jenkins has enjoyed representing underserved clients through the Dallas Bar Association’s Volunteer Attorneys Program. When not at work, Christina enjoys traveling with her family and is fascinated by building materials, architecture and design. Mary has been in the mortgage industry for over 20 years. Having begun her career in loan operations, she understands that strong partnerships ensure maximum efficiency. Building long term relationships with mortgage bankers while providing the best possible business solutions has been her strength. Believing that the most important product on the market is customer service, Mary‘s goal is for clients to experience excellence consistently. Sandler, PLLC d/b/a/ Sandler Law Group in Texas, A Professional Limited Liability Company ("Sandler, LLC" or the "firm") has prepared the information contained on this Web site for informational purposes only. The information on this Web site is not intended to be legal or professional advice, and the reader should not understand, use or rely upon it as such. Whether or not you presently are a client of the firm, you should not act or refrain from acting based upon what you see or read on this site without first consulting with an attorney licensed to practice law in your jurisdiction. Sandler, LLC disclaims liability for any loss that may occur to you or others because you act or refrain from acting in a certain way based on information contained on this site. Neither the firm’s maintenance of this Web site, nor your actions in using it, reading it or sending us an e-mail through the e-mail interfaces on this site, gives rise to an attorney-client relationship. An attorney-client relationship is created only by communicating directly with a specific lawyer in the firm and that lawyer expressly agreeing that the firm can and will represent you, after adequate consultation and ensuring that there is no conflict of interest in the representation. Typically, the lawyer will then send you an engagement letter. If you are not already a client of the firm, do not send us sensitive or confidential information by e-mail, as your communication with us may not be treated as confidential or privileged. If you already are a client of the firm and are communicating with us about a matter on which we represent you, please be aware that Internet e-mail communications are not necessarily secure. Accordingly, if you send us confidential or sensitive information by Internet e-mail, you must be willing to accept the risk that the communication may not be secure and that confidentiality may be lost. The information presented on this site is offered only for general informational purposes. Sandler, LLC does not guarantee that the information contained on the site is correct, complete or current. This site includes links to other Web sites that are not controlled by Sandler, LLC. Other sites not controlled by Sandler, LLC may provide links to this site. Sandler, LLC neither endorses, nor assures the accuracy of, any such linked or linking sites. Sandler, LLC lawyers are licensed to practice law only in the particular jurisdictions noted in their individual biographies. Neither the listing of an individual attorney’s practice areas, nor the firm’s description of its practice areas, is meant to indicate or imply certification or designation as a specialist in a particular area of law. An attorney is not certified by the Texas Board of Legal Specialization or any other body certifying specialization unless the certification is specifically noted in the attorney’s biography. Sandler, LLC maintains this site for informational purposes. It is not intended to constitute an advertisement or solicitation of legal representation. In certain States, this site may be deemed to constitute a form of advertisement. The decision to retain a lawyer or law firm is an important one that should not be based solely on an advertisement. Before you decide, ask us to send you free written information about our qualifications and experience. Solely to the extent that certain jurisdictions may require that the firm designate a principal office and a single attorney responsible for this Web site, Sandler, LLC designates its Dallas, Texas office as its principal office and designates Michael Riddle as the attorney responsible for the Web site. 2018 Sandler, LLC © All Rights Reserved.